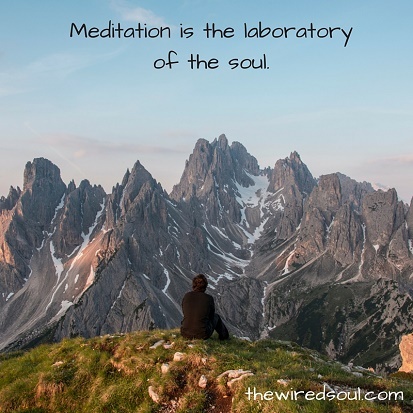 Meditation is a powerful way to engage our souls with focused intentionality that produces numerous benefits, some of which the Bible has long touted, and others that science has more recently affirmed. But first, what is biblical meditation, and how does it differ from similar practices so popular in our culture today? The term meditation is bandied about by a diverse army of proponents—from business executives to educators to talk show hosts to personal trainers—and the practices they promote are varied and nuanced. In general, however, most secular writing and teaching about meditation today refers to focusing and relaxation exercises. Using some combination of breath and single-minded concentration, the emphasis is on calming the mind, but not necessarily stretching it. I ponder [siatch] the work of your hands. Every human being thinks about God at some point. Those thoughts begin to establish pathways in our brain, whether we cultivate actual faith or not. And the truth is, our brains are capable of such depth and breadth that it seems we can never be fully satisfied, no matter how much we study, learn, or meditate on spiritual realities. Indeed, as one neuroscientist notes, “The more one contemplates God, the more mysterious God becomes.”[iii] When I read this I couldn’t help but think of God’s reminder that his thoughts and ways are as far from ours as the heavens are from the earth (Isaiah 55:9); no one really comprehends God’s thoughts except his Spirit (1 Corinthians 2:11). As Christ followers, we will simply never run out of material upon which to meditate. From the countless calls in the Old Testament to remember what God has done, to practical reminders in the New Testament epistles to fix our minds on complex issues like truth or loveliness or honor, God continually elevates the role of the human mind. From a biblical perspective, however, the mind is not limited to cognitive understanding. It encompasses everything from perceiving to feeling to judging to deciding. [iv] Vine’s Expository Dictionary describes the mind as the “seat of reflective consciousness,” which points to the very capacity that sets us apart from every other species—our consciousness, our ability to reflect or to be self-aware. The bursts of neural activity between two of these brain parts in particular—the prefrontal cortex and the amygdala—are significant for our spiritual journeys and give us insight into why meditation is integral to our formation as Christ-followers. Stay with me here, because what I am about to share is a powerful reality. The prefrontal cortex is a hub of activity at the front part of our brains. As part of the top-down system, it serves a bit like the brain’s air traffic controller—directing thoughts and determining priorities so that we can function efficiently in the world. This gray matter above our eyes is what enables us to do things like make decisions, enjoy music, love our children, learn a new language, or think about God. It doesn’t fully develop until around age twenty-five. Click to read the complete first chapter. The almond-sized amygdala, located in the bottom-up system, is often referred to as our brain’s emotional center. In some ways, the amygdala can be like an unruly child, easily activated by circumstances and at the whim of a host of feelings, from joy to fear to despair. Because many more neural pathways run from the amygdala to the prefrontal cortex than the other way around, we often find ourselves operating more from how we feel than from what is right or rational. Ideally, as we mature, the prefrontal cortex increasingly shapes and controls our emotions, communicating effectively with our amygdala to keep it in balance. But as you and I know from experience, this doesn’t always happen. As much as we try to maintain control, our emotions often get the best of us. This tendency has escalated due to the persistent demands of digital life. In our multitasking world, where we are bombarded by stimuli and under continual pressure to attend to multiple things at once, our prefrontal cortex is often overloaded—kind of like an air traffic controller who has had no sleep and is trying to handle ten times the number of planes he or she trained for. As a result, we lose our ability to concentrate and effectively manage our mental life, a malady most of us would probably say we face daily. There is an almost palpable sense that culture-wide we are characterized by frustration, stress, anxiety, anger, and even rage. This is where meditation can have an astounding impact. When we take the time to put away distractions and ponder God’s Word or works or ways, we strengthen the neural pathways from our prefrontal cortex to our amygdala. Over time this increases our capacity to focus so that we can more intentionally allow God’s Spirit to direct our thoughts and control our emotions. This is why Scripture says we are transformed by the renewing of our minds (Romans 12:2). In essence, through meditation, we are aligning our brains with the work the Holy Spirit is doing in our hearts. A host of brain imaging studies done while people meditate has confirmed this benefit of strengthening neural pathways, as well as a plethora of others. 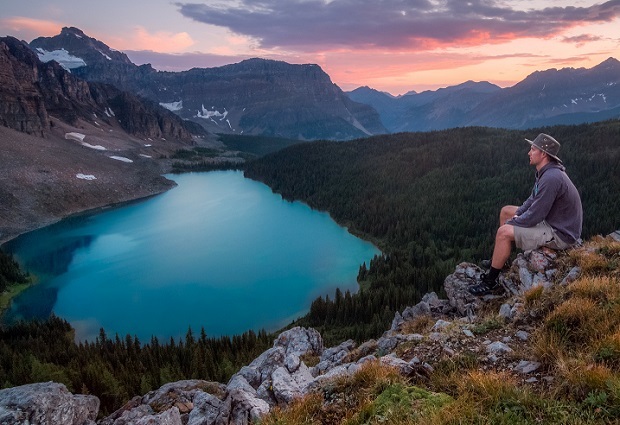 For example, deep thinking and quiet reflection can enhance our ability to empathize with others, make us more socially aware, reduce negative feelings, counter effects of depression, help achieve our goals, increase creativity and spatial processing, and give us fresh perspectives on the problems we face, all while reducing stress. [ix] I find it incredible that not only has God designed us this way, but he has given us the amazing cognitive and spiritual capacities to engage in meaningful meditation. As a practice, biblical meditation is fairly simple, but like any other spiritual discipline, it requires an investment of time and focus before it becomes a natural component of our faith-walk. 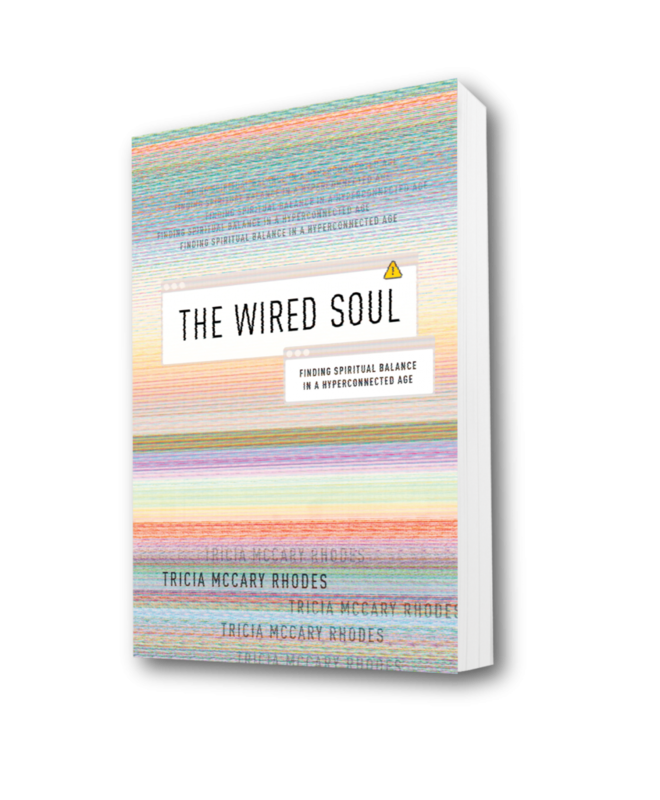 Click to Continue reading with Tricia Rhodes as she outlines biblical meditation and other spiritual disciplines in The Wired Soul. Or hear from Tricia herself as she describes the book and provides insight on the connection of brain science, meditation, and intimacy with Christ. [i] Hebrew Lexicon: H1897 and H7878 (esv), accessed September 2, 2015, at www.blueletterbible.org/lang/lexicon/lexicon.cfm?Strongs=H1897&t=ESV. [ii] Psalm 63:6; 77:12; 143:5; 145:5. [iii] A. B. Newberg and M. R. Waldman, How God Changes Your Brain: Breakthrough Findings from a Leading Neuroscientist (New York: Ballantine, 2009), 5-6. [iv] Greek Lexicon: G3563 (esv), accessed September 2, 2015, at www.blueletterbible.org/lang/lexicon/lexicon.cfm?Strongs=G3563&t=ESV. [v] M. T. Kelsey, The Other Side of Silence: A Guide to Christian Meditation (New York: Paulist, 1976), 9. [vi] Richard Foster, Sanctuary of the Soul: Journey into Meditative Prayer (Downers Grove, IL: IVP Books, 2011), 26. [vii] Joshua 1:8; Psalm 63:5-6; Isaiah 26:3; Romans 8:6. [viii] Newberg and Waldman, How God Changes Your Brain, 16. [ix] See Newberg and Waldman, How God Changes Your Brain; Sondra Kornblatt, A Better Brain at Any Age (San Francisco: Conari, 2008); and Daniel Bor, The Ravenous Brain: How the New Science of Consciousness Explains Our Insatiable Search for Meaning (New York: Basic Books, 2012). [x] See my chapter on meditative prayer in Tricia Rhodes, The Soul at Rest: A Journey into Contemplative Prayer (Minneapolis: Bethany House, 1996), and the chapter on meditation in Richard Foster, Celebration of Discipline: The Path to Spiritual Growth (San Francisco: Harper & Row, 1988).